"Whatever comes your way, find the happiness in it." At first, Hope feels foolish and irrelevant, struggling to relate to women whose choices seem so different from her own. But with time and the encouragement of the prison chaplain, she begins to discover common ground with the inmates, in their worries about their children and families, their fear of having failed those who need them. Just like her, they want to make something of themselves but believe it might be impossible. Embarking on an ambitious quilting project, Hope and her students begin to bond. Together, piece by piece, they learn to defy expectations - their own and others' - and to see that it's never too late to stitch together a life that, even in its imperfections, is both surprising and beautiful. once again. you have out done yourself. hope you never give up writing. I have read or listen to all of your books. 5 hope this one will become a series as the other have. once again, thanks for a great story. as I am a quilter, these have become my favorites. 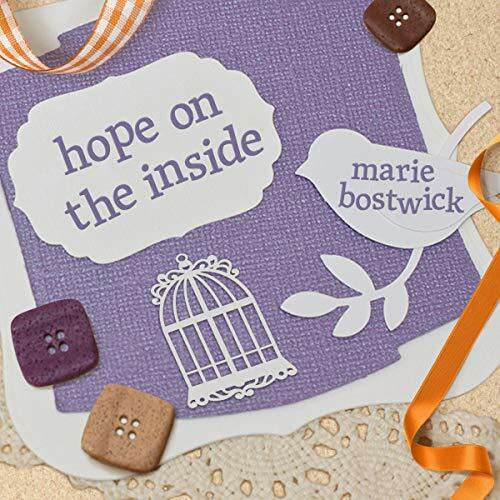 Marie Bostwick is one of my favorite authors. I think this is her best book so far! A very riveting book that is hard to put down.